Your restaurant’s storefront matters. The right look can draw customers in the door, give customers visual cues about the dining experience and the food you serve, and help your restaurant stand out on crowded commercial streets. What can you do to stand out? 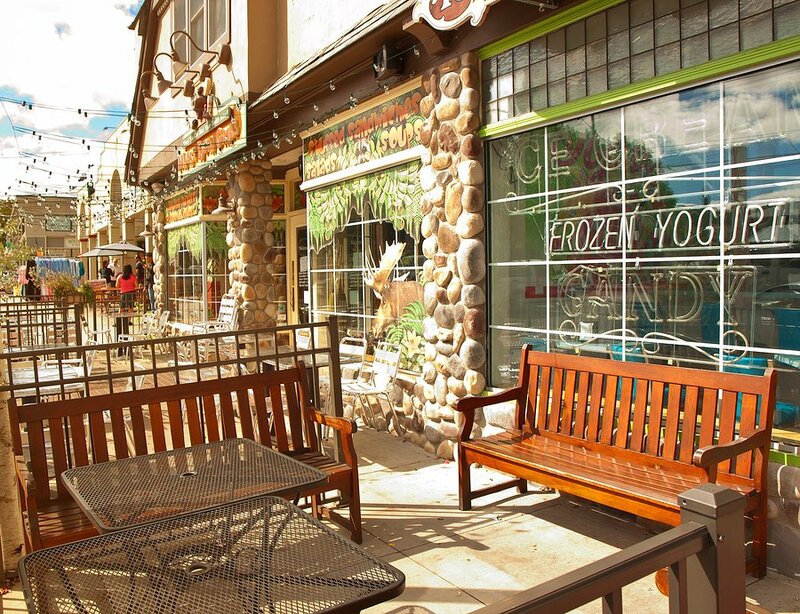 Commercial windows and glass storefronts are increasingly popular for restaurant storefronts. The reason is simple: Utilizing storefront windows, you provide would-be diners a chance to peek inside, while also conveying cleanliness and style. The right storefront design can also help direct customers toward the door. Think about it like this: You design advertisements so that readers can visually navigate your ad, find relevant information, and define the dining experience you offer. Your restaurant’s storefront is like a physical advertisement – it can help you stand out, entice new customers, and grow awareness of your brand. In other words, the right storefront design might be the secret to helping your business grow faster. Customers and would-be diners grab cues from your restaurant’s storefront as they enter your restaurant. In fact, your storefront alone can convey A) your price point and B) what to expect from the dining experience (i.e., high-end, fast casual, etc.). Storefront windows are a versatile design element. They can be dressed up or dressed down, depending on the type of mood you want to convey. Ultimately, using restaurant windows, you can create a distinctive look for your business that acts as an advertisement, telling customers what to expect and why they should come in. Here’s another reason using storefront windows can help you stand out: It gives customers a chance to look into your dining room. Just like a retail store puts up window displays to draw customers into the store, restaurants can use storefront glass for similar effect. Customers can see the look of the dining room, that it’s crowded (i.e., social proof that your restaurant is good) and also provide more clues as to the type of experience customers can expect. Restaurant windows aren’t just ideal for advertising and branding – they also have numerous practical uses. One use that’s especially useful, the right storefront design helps customers identify your front door. Your front door is an opportunity to create a first impression. If it’s difficult to find, or it doesn’t stand out, you might miss the chance. Restaurant windows can help to direct the eye toward the front door. For example, you might use colored aluminum framing to stand apart from a wooden front door. Glass storefronts convey cleanliness, and that’s very important for restaurants. In fact, when Ray Kroc launched McDonald’s, he made the cleanliness of the restaurants parking lot and exterior one of his staff’s primary duties. The reason: A clean exterior shows that you care and that you’re interested in every last detail. Not to mention, it also helps to create that strong first impression. Your restaurant might be located on a block populated by a variety of businesses: Competing restaurants, retail stores, offices. You want to stand out, and commercial windows can help you achieve that. For example, on crowded streets, a smart use of colored restaurant window frames (along with paint and signage) can create a distinctive perimeter for your business, show where it begins and ends. Storefront windows don’t just help your business stand out and enhance its branding. There are numerous practical and fundamental considerations you will have to make when creating a storefront design for your business. Structural Loads – Adding windows to your storefront’s design may require additional structural elements to hold loads. Heating and Cooling – Windows enable you to bring lots of natural light into your restaurant. But this can also increase heating and cooling demand. Tinted glass, Low-E glass or double-paned windows may all help to offset some of the heating or cooling gains. Dimensions – Finally, the dimensions of your windows matter. Custom-built windows may be necessary for unusual proportions. Additionally, you may want to keep the location of your front entrance in the same place so you can utilize a similar floor plan. Both of these factors can affect the design choices you can make. Using commercial windows within your storefront design can help your restaurant stand out and give your business a refreshed look. The key: Choose a partner that has experience in storefront design that can help you bring your design vision to life. If you have any questions about commercial windows for a restaurant, contact us.